One that you make over and over again? The one you make when you want a quick treat and don’t want to have to really think. 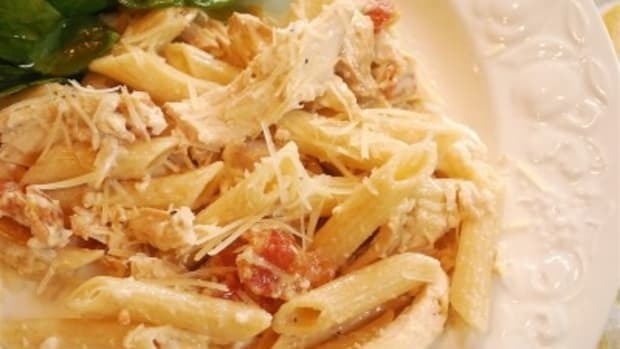 A recipe you know you always have the ingredients on hand for? 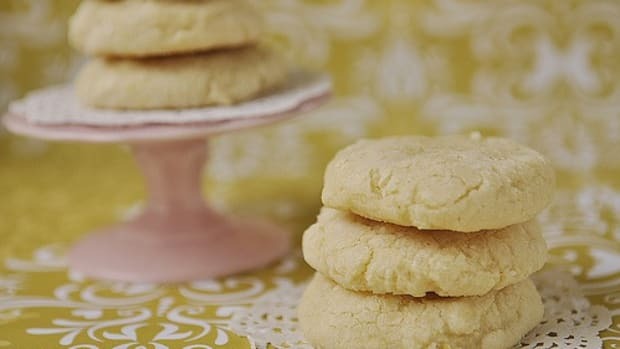 At our house we have three “go to” cookie recipes. Of course, there is chocolate chip cookies and snickerdoodles. 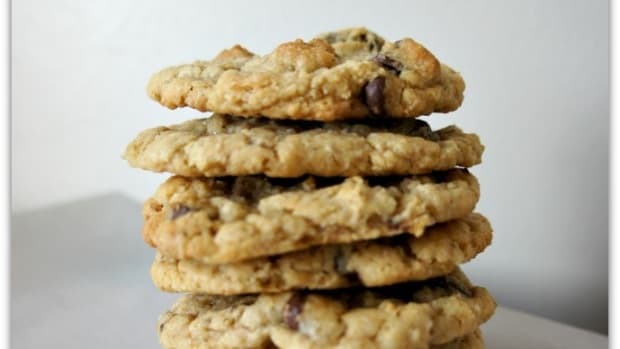 And my third “go to” cookie is this recipe for oatmeal cookies. This particular recipe has been in my family for a long time. It belonged to my Great Aunt Dorothy Schenck McKowan who was a wonderful cook. 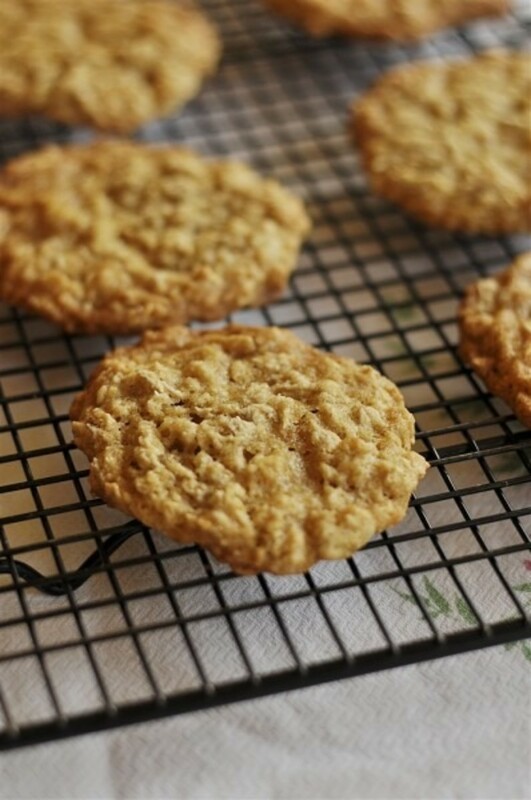 Everyone needs a “go to” oatmeal cookie recipe. 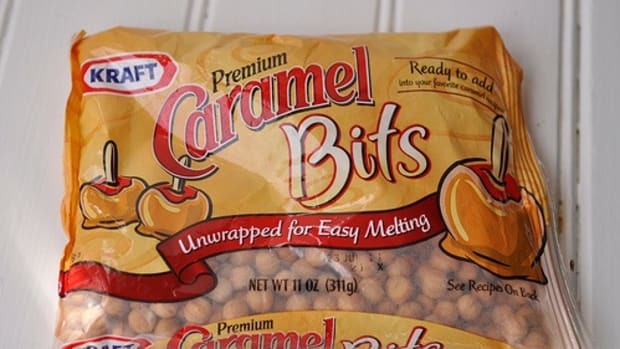 I like them plain but they would probably be great with raisins or chocolate chip. 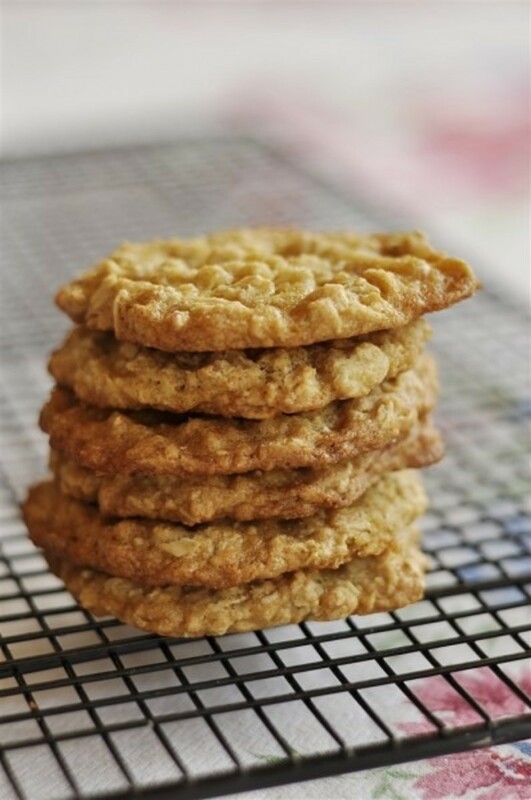 They are a thin, light oatmeal cookie which I prefer over a thick chewy one. 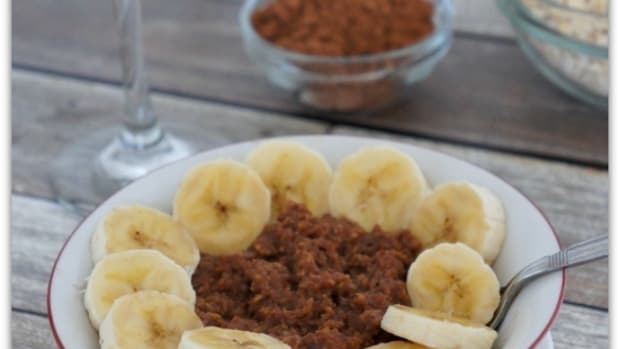 Be sure and use the old fashioned oats in this recipe, not the quick cooking ones. It does make a difference. 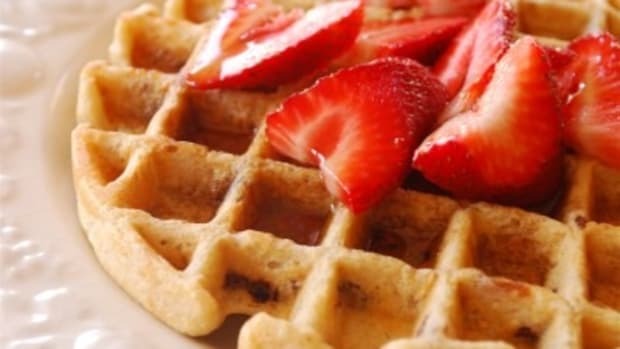 Another reason I love this recipe is that it freezes and refrigerates well. I divide the dough in half and form each half into a log. I then wrap the log in wax paper and then pop it in the refrigerator or freezer. If it’s going in the freezer I also cover it with some foil to prevent freezer burn. I can have warm, homemade cookies whenever I want! I think they would be pretty amazing with a scoop of ice cream sandwiched between two of them! Don’t you?! 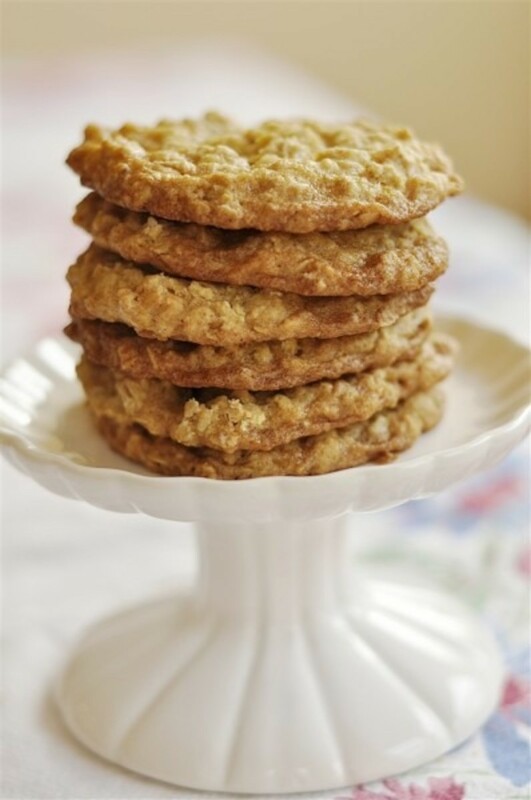 Enjoy Aunt Dorothy’s oatmeal cookies. Form into rolls. Refrigerate – can be frozen. 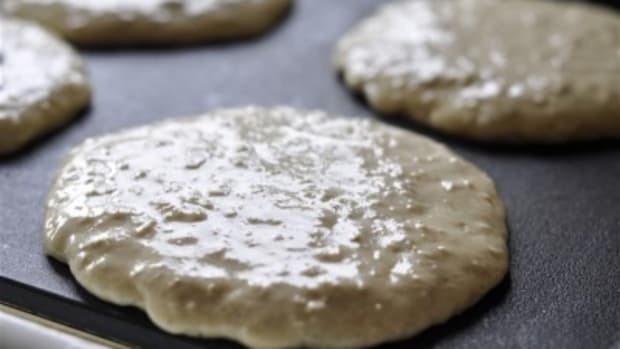 You can also bake them right away without refrigerating. Just use a cookie scoop, don’t form them into a log. Bake at 350 degrees for 10-12 minutes. Who doesn’t love a good oatmeal cookie. Especially one that has a little extra something added in. 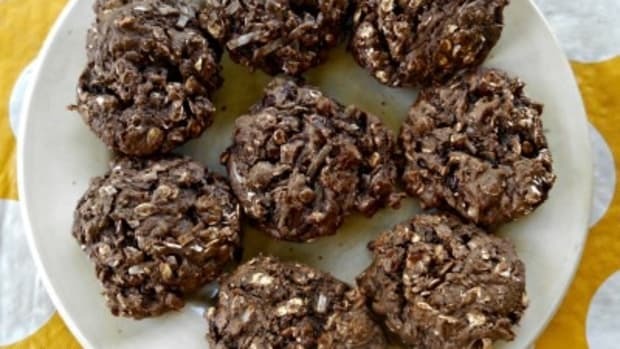 These chocolate oatmeal cookies are our favorite summer picnic dessert. You know me, I love cookies. I love lemon. Especially in the spring time. Easter, lemons and springtime just go together in my book. Do you have a favorite dish you make when you want to take a meal to another family?